Six unsolved UFO mysteries includes the story of the Grinning Man, the Men in Black, strange orbs during the Second World War known as Foo Fighters, the Kecksburg Incident, the disappearance of Felix Moncla, and the UFO sighting at O’Hare Airport. During the Second World War, all those involved in the war reported seeing glowing orbs following them or right in front of them. All camps could not explain the sightings. Later on, the orbs became known as the “foo fighters”. Felix Moncla, an Air Force Pilot from the United States was pursuing a UFO when he disappeared. The pilot was over the Canadian border according to 1953 reports. Ground control officials were reportedly able to see the UFO and Moncla’s plane merge on the radar screen and then vanished. 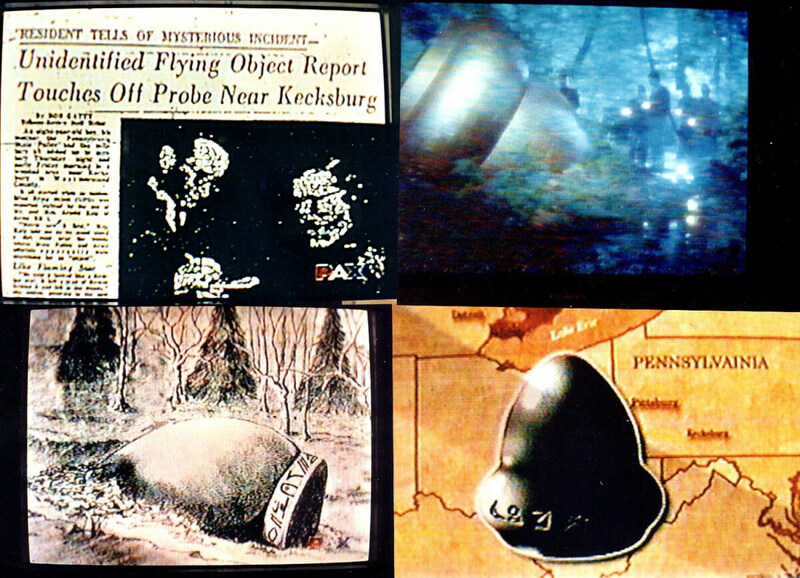 Kecksburg, Pennsylvania claimed that on December 9, 1965, a large object crashed in the woods. By December 10, the residents found out that it was an acorn-shaped object. It had symbols written on its sides. The U.S. military surrounded the area that day. By the year 2005, NASA gave the residents of Kecksburg an explanation. They said it fell from a satellite operated by Russia. Witnesses to the incident claim however that the explanation did not match with what they saw. The Grinning Man was allegedly first spotted in 1966 after a UFO sighting in Elizabeth, New Jersey. The man, who resembled a human being, reportedly did not have a nose or ears. He only had eyes and his face plastered with a conspicuous grin. Other reports of the Grinning Man being seen in the United States came out after that. Witnesses who saw him said that he is called Indrid Cold. 12 airline employees saw on November 7, 2006 that a UFO was hovering above one of O’Hare Airport’s departure gates. It said to have hovered over the area for two minutes. Six doughnut-shaped UFOs were seen hovering above Maury Island located in Washington. One of the objects allegedly dropped debris killing a dog and injuring a seaman’s son. The seaman later claimed that a man in black showed up in his home and threatened him about the incident. Men in Black or MIB as a concept preceded the movie of the same name. The men in black do not have gadgets like the MIB in the movies though, they just like their cars and suits black.